Scottish novelist George MacDonald authored 37 novels published between 1858 and 1898. Many of his books were edited, condensed, and republished under other titles in the 1980s and 1990s, most notably by Michael Phillips and Dan Hamilton. 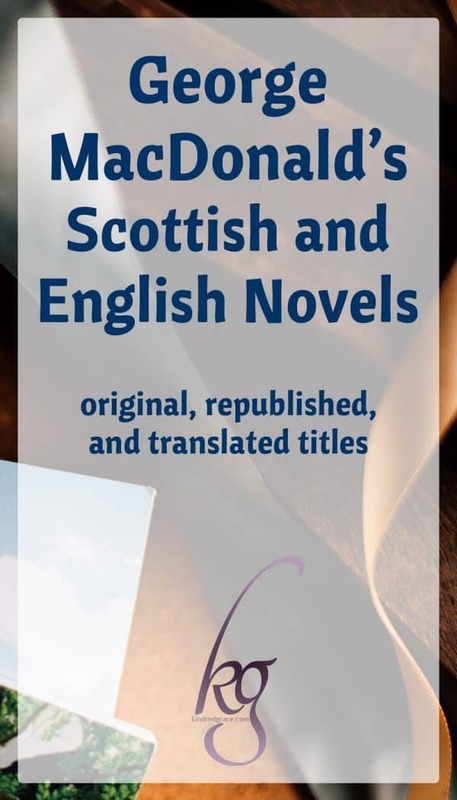 MacDonald’s novels are coming back in print with their original titles, thanks to Michael Phillips’ edited and expanded versions in The Cullen Collection and David Jack’s side-by-side English-Scots translations. However, a whole generation of readers knows MacDonald’s titles best by the names given them by Michael Phillips and Dan Hamilton. This bibliographic table is presented in order to help readers familiarize themselves with titles old and new, as well as to aid in finding the original version they knew by an alternate title. Series names have been given in an attempt to group books together with their sequels. Swipe to view more columns or tap on an entry to view additional information. Special thanks to Michael Phillips and David Jack for answering clarifying questions via email.